Navadwip Chandra Ghosh, M.A., B.L. 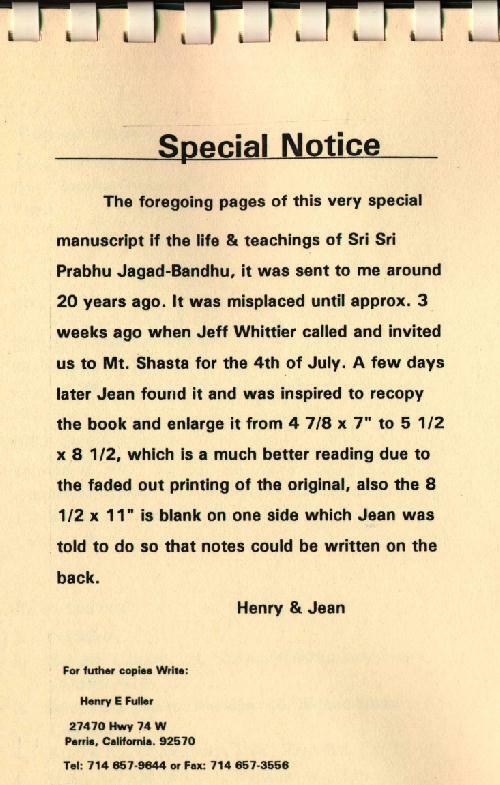 This book has been sent by Mr. Jeff Whittier of Palo Alto, California, and from the "Special Notice" scanned picture below, it may be noticed that Mr. Henry E.Fuller (the sole publisher of U.C. 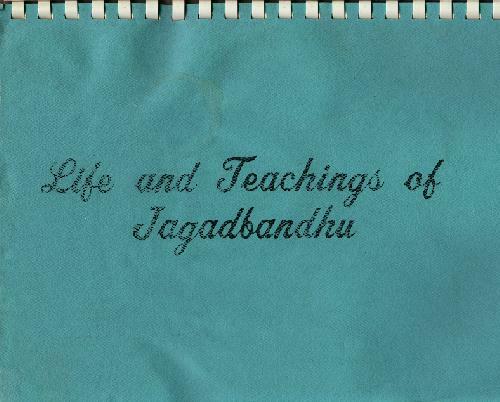 Chakraborti's book 'Shri Shri Hari Purush Jagadbandhu') and his wife Mrs. Jean Fuller had made this publication in an upgraded format. 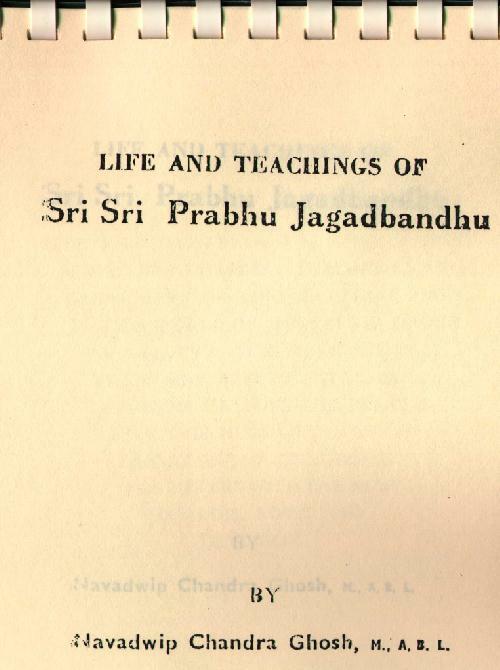 Please notice from the Edition and Publisher Information web link below that this book was originally published in 1922 from Patna (First edition) and the Second Edition was published after 51 years by Mahauddharan Math in 1973 with the PUBLISHER PREFACE by Sri Sri Mahanambrata Brahmachari as can found in this section of the web page.